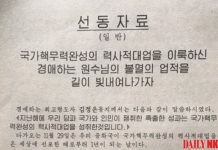 North Korea’s state newspaper has criticized the North Korean Human Rights Reauthorization Act of 2017, which was passed by the US Senate on April 24. Despite these displays of confidence by the state, however, the entry of outside information into North Korea is rapidly expanding. There is evidence that the information is making a major impact on the lives of North Koreans. South Korean dramas and movies on CDs began flowing into North Korea through China in the early 2000s. The rise of USBs and SD cards along with DVD and MP4 players has brought outside information within reach of many North Koreans. The North Korean government has in turn long focused on cracking down on the spread of information. 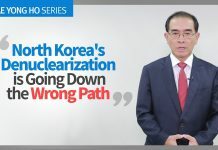 Daily NK reported in March of this year that the “109 Group,” which was formed to monitor the distribution and consumption of foreign video material, has moved with renewed vigor to crackdown on those viewing or distributing South Korean dramas. The unanimous passing of the North Korean Human Rights Reauthorization Act of 2017 by the US Senate forms part of wider efforts to send more outside information into North Korea.